This story is the first in a series about recipients of the Diversity, Excellence and Inclusion Scholarship at GSAS. 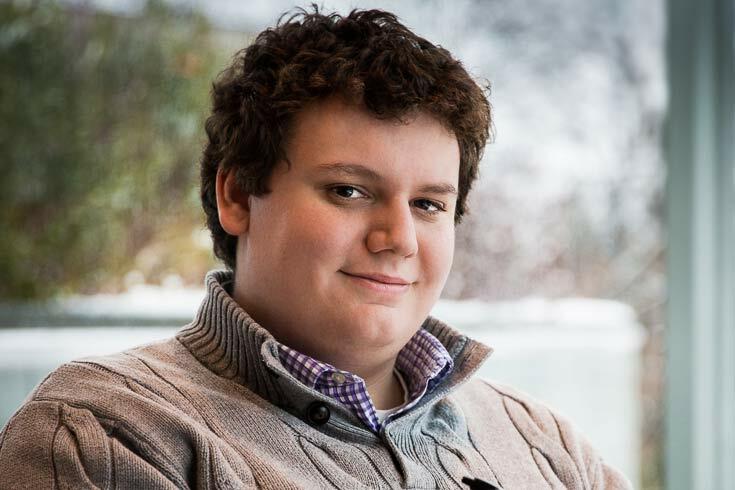 Zachary Elliott was very excited about being accepted to the Ancient Greek and Roman Studies (AGRS) program at Brandeis, but he had a major concern. “I thought that I would not be able to attend because of financial issues,” he says, “so I was considering post-baccalaureate programs to improve my language skills while working and waiting for the next round of graduate school applications.” Then Andrew Koh, the Co-Director of Graduate Study for the program, told him that he had been offered the Diversity Excellence and Inclusion Scholarship (DEIS). Elliott has found the AGRS department and its faculty to be very welcoming and supportive. “I’ve been working most closely with Dr. Joel Christensen,” he says. “In addition to exploring some nascent ideas that might eventually lead to my Master’s thesis, I am working with Dr. Christensen on a project that explores African-American reception of and experience with Classics.” Through his research on the topic, he has found that the demographic issues in the field might be linked not to an inherent “whiteness” but rather to problems of access and presentation. Elliott and Dr. Christensen plan to present the research at conferences and publish it in an academic journal over the course of the upcoming year. He makes regular blog posts on the topic at the Classical Studies blog Sententiae Antiquae.